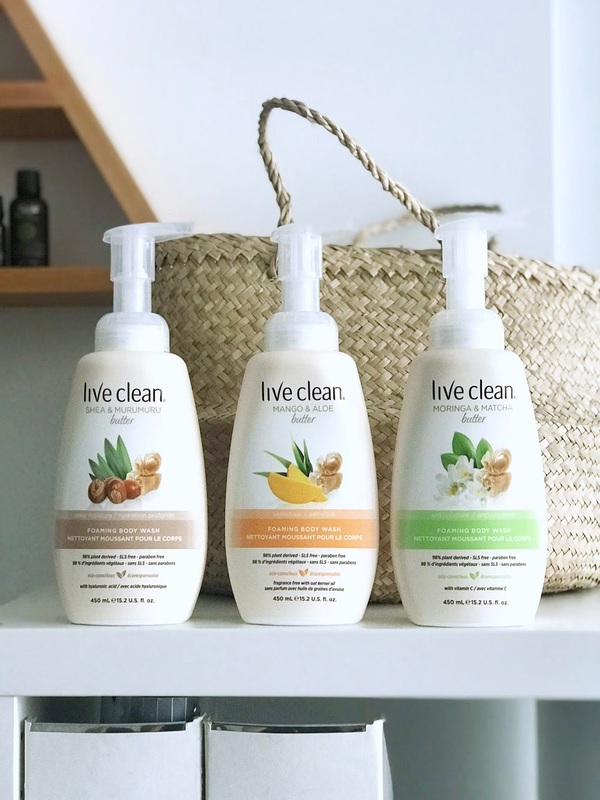 Live Clean is back with new foaming body washes featuring three exotic body butters that create a luxuriously rich body wash experience! These are the three new products in from Live Clean: Shea & Murumuru Butter, Mango & Aloe Butter, and Moringa & Matcha Butter. Each scent is different and unique all in its own, and each butter also caters to a specific function to enhance personal care such as adding moisture, catering to sensitive skin, and acting as an antioxidant. I've been a huge fan of Live Clean body washes, but I am so on board with how these body washes are foaming and come with a pump. While I love their original bottles, I feel like I can use less of this product while still getting that luxurious foam that rinses easily, requiring less water to do so. Out of the three available foaming body washes, my favourite is the Shea & Murumuru Butters formula. It's enriched with Hyaluronic Acid to deliver gentle cleansing and long lasting hydration. The Moringa & Matcha Butters formulation includes Vitamin C to energize the skin and renew its natural glow. For sensitive skin, Mango and Aloe Butters has a mild unscented formula with calming Oat Kernel Oil. In addition to using them as regular body washes, I also love pumping a few pumps into my bath water for some light foam and scent when I need those relaxing bath nights. 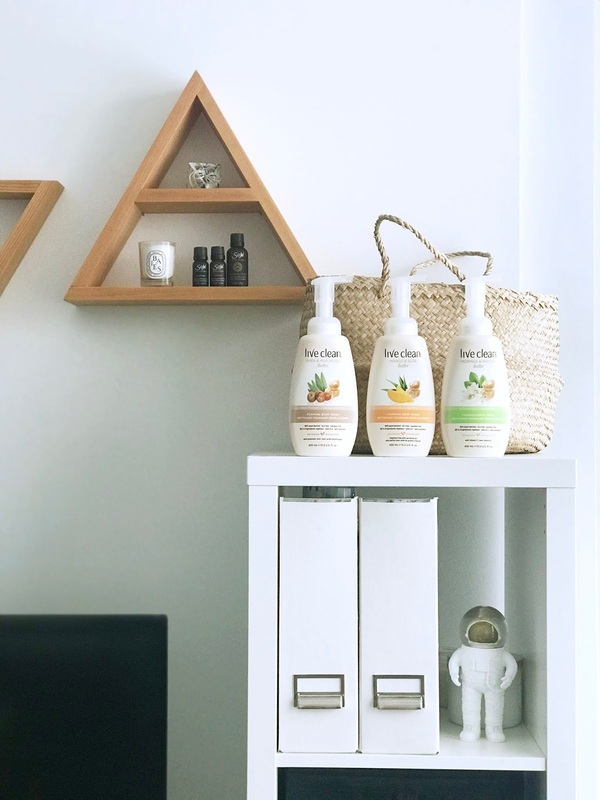 It's been some times since I've reviewed a Live Clean product, so to recap, all of their formulas are 98% plant derived, SLS and paraben free, cruelty free, and so much more. They're absolutely perfect for the eco-conscious household! 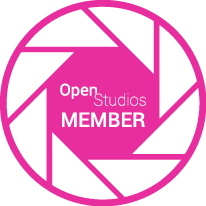 Not only that, but their products are so easily accessible and are cost-efficient too. These foaming body washes retail for $7.99 each and can be found at Shoppers Drug Mart, Walmart, Well.ca, and more. Which buttery body wash would you like to try out most? Let me know in the comments down below. 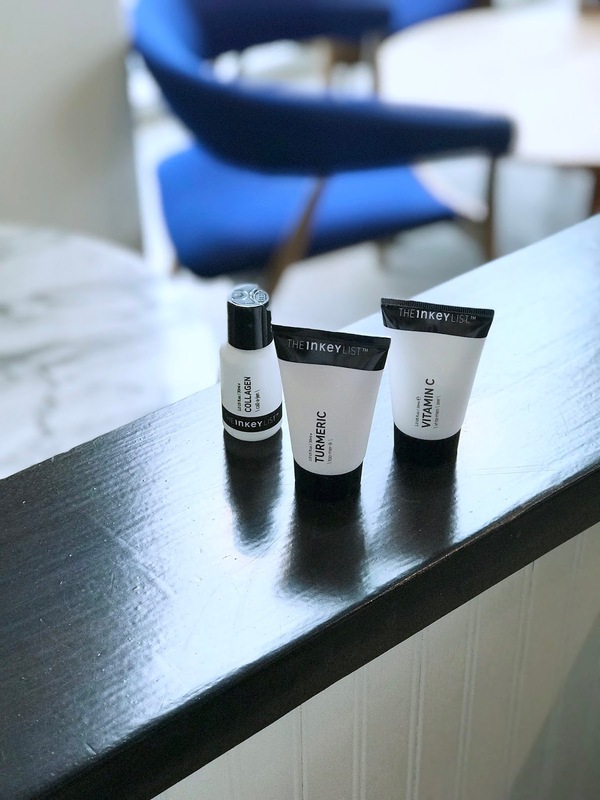 If you're a skincare and beauty lover, you must have seen The Inkey List pop up all over social media over the past few weeks. Some have been comparing it to the ever popular, "The Ordinary" line, but it is so much more. I got to preview the brand's launch in Canada just a couple weeks ago and learned so much about the brand that I can't wait to share with you all today on the blog. The Inkey List is a built on the belief that intelligent beauty should be accessible, simple, and straightforward. We're in this period where consumers (including myself) are demanding high quality products without the price tag. 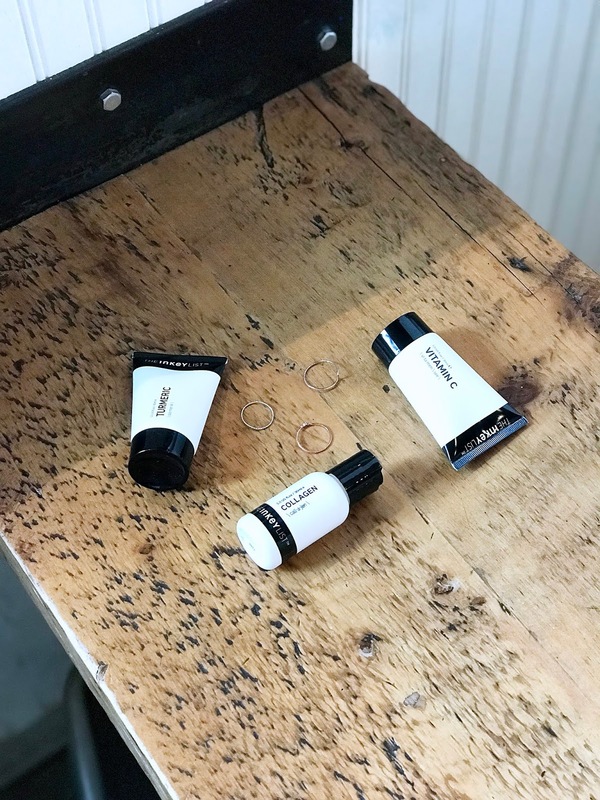 The other thing is that when it comes to skincare, it's not always easy to navigate and understand what's out there in today's cluttered skincare space. Basically at The Inkey List, you won't find confusing or exaggerated beauty marketing. You'll find transparent communication, straightforward packaging, and cutting-edge formulations made with premium ingredients. 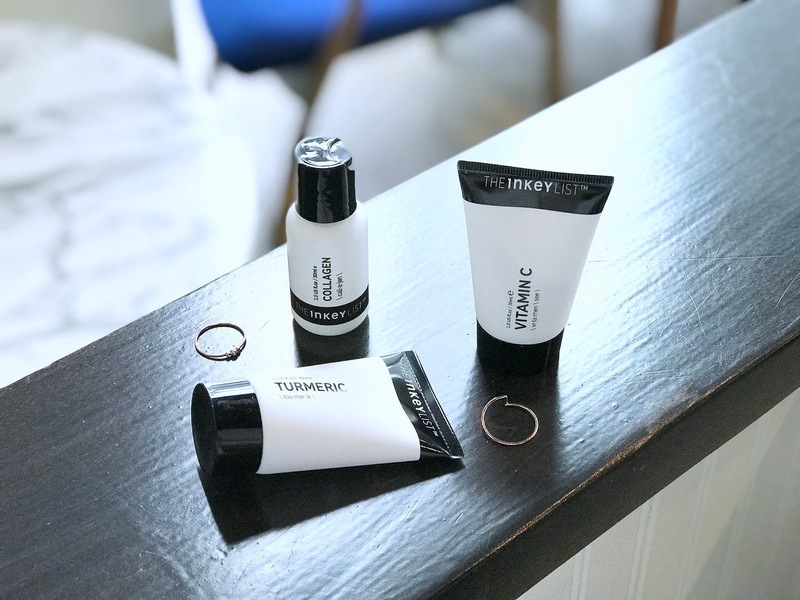 There are three products from The Inkey List that I wanted to feature today; the Turmeric moisturizer, and the Collagen and Vitamin C serums. All three of these products have been incorporated into my skincare routine for specific reasons related to my skincare concerns. TURMERIC ($12.99, 30ml) | This is a creamy moisturizer that has powerful antioxidant and anti-inflammatory properties. Turmeric itself is known to be a superfood, and having not seen it in beauty products before, I was super interested in this product. I've been using on days when my skin feels more inflamed or looks red from those hormonal breakouts and I've been loving it! VITAMIN C ($12.99, 30ml) | A skin concern of mine is targeting my uneven skin tone, especially around my nose and chin. Vitamin C brightens and protects the skin from environmental pollution. What I like about The Inkey List's Vitamin C serum is how it's super lightweight and absorbs instantly. It's one of the highest forms of Vitamin C on the market so you can be sure you're getting optimal results - just remember to wear sunscreen! COLLAGEN ($10.99, 30ml) | The last skincare concern of mine is of course, anti-aging. Collagen is a natural protein found in cells that supports firmness and elasticity on the skin. It helps to prevent and firm sagging skin, fine lines and wrinkles. This serum feels absolutely divine on my skin. It's feels like those solutions that sheet masks come soaked in which results in the serum soaking quickly into my skin and making it feel barely there. There's a couple things I love about The Inkey List. First of all, their price range is phenomenal with nothing priced over $15. By keeping costs low, this means as a consumer you can test out what works for you with confidence. Another thing is their packaging! I have little passion for branding and packaging, and I love how there are no gimmicks to their packaging design and everything is very straightforward and streamlined. Each product's packaging will tell you what it is, how to use it, and how to incorporate it into your skincare routine. The Inkey List's co-founders believe that by having better access and information, you can better your skin. 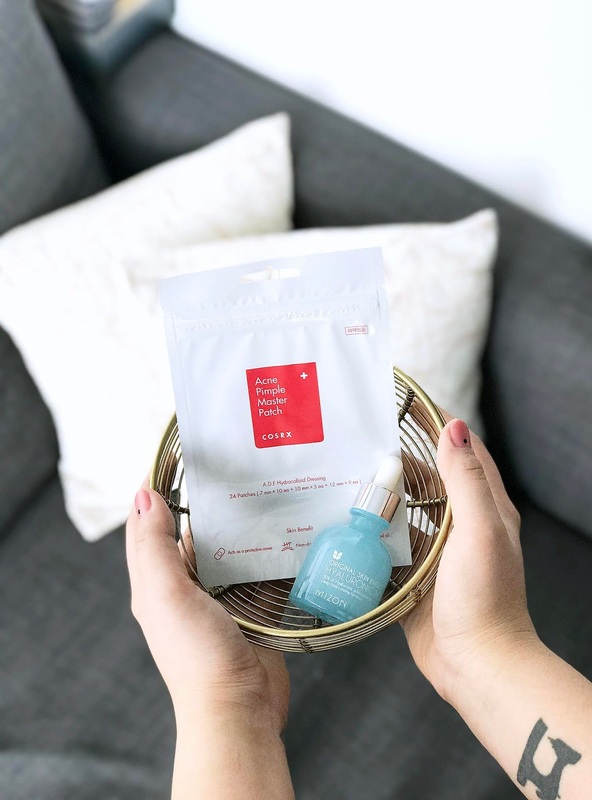 The Inkey List is available now at select Shopper's Drug Mart stores and can also be found on beauty.shoppersdrugmart.cahttps://beauty.shoppersdrugmart.ca/Beauty/The-Inkey-List/c/INKEY. Hope you enjoyed this intro to The Inkey List brand and a few of their products! Disclaimer * Press samples featured. All opinions and views are my own. A couple months ago I got a mini-facial at Sephora using Dermalogica products. One of the products used on my face was the Sebum Clearing Masque. I was instantly in love with it and couldn't wait to try it again at home. It's a deep cleaning mask formulated with Kaolin and Bentonite clay. Other ingredients include cinnamon bark to eliminate bacteria and oat and licorice to sooth irritation. It absorbs excess oil (hence, "sebum clearing") and refines skin texture. Essentially, it is a powerful antioxidant face mask. Clay masks are traditionally formulated for oily and acne-prone skin, and because of this, I personally don't think it would be suitable for sensitive skin. It has a very strong cooling effect which might be too strong for other skin types. Since I have normal to oily skin, I absolutely love using this mask. To use it, I'll apply a smooth layer on my freshly cleansed face and leave it on for about ten minutes. Sometimes when I have a really bad breakout, I'll also use it as an overnight spot treatment. Since it can be somewhat drying, I always follow up with a sheet mask to bring that moisture back into my skin. The result is super smooth skin that feels refreshed and awake. 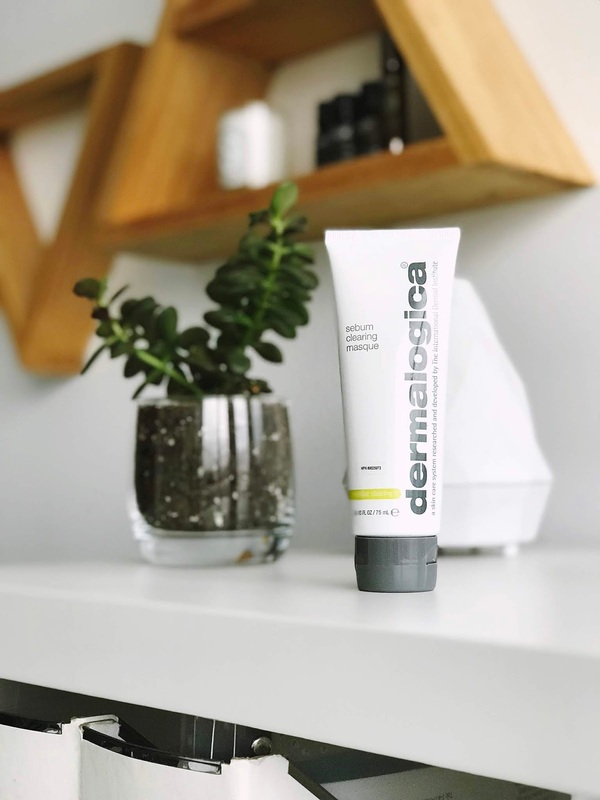 The Sebum Clearing Masque retails for $69 CAD and can be found at Sephora and the online Dermalogica store. I know $70 for 75mL of product may be on the higher end for a face mask, but realistically, you don't need to use very much of this mask, so it'll last you forever. 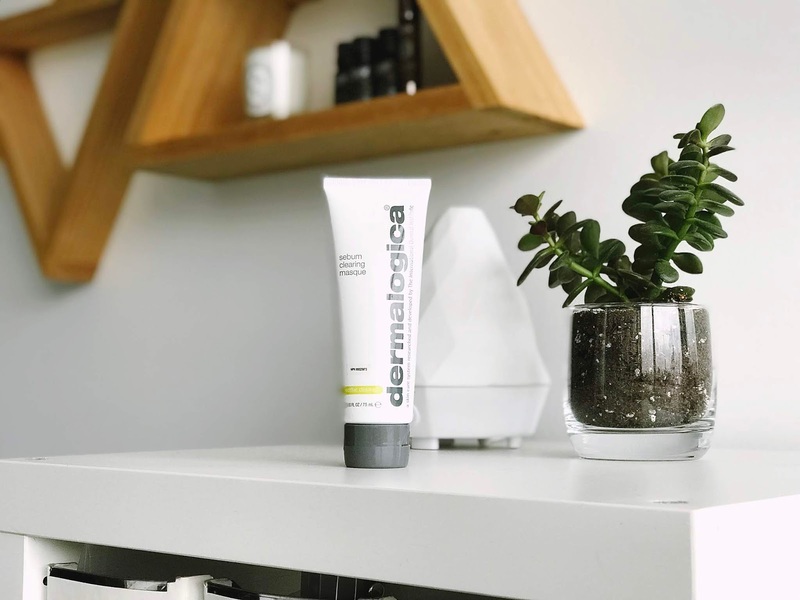 I've never been disappointed with Dermalogica products and this is one that I absolutely love so I don't mind spending a little more money for a product that does wonders to my skin. What Dermalogica products would you recommend to me to try? Let me know in the comments down below. It's a new year! 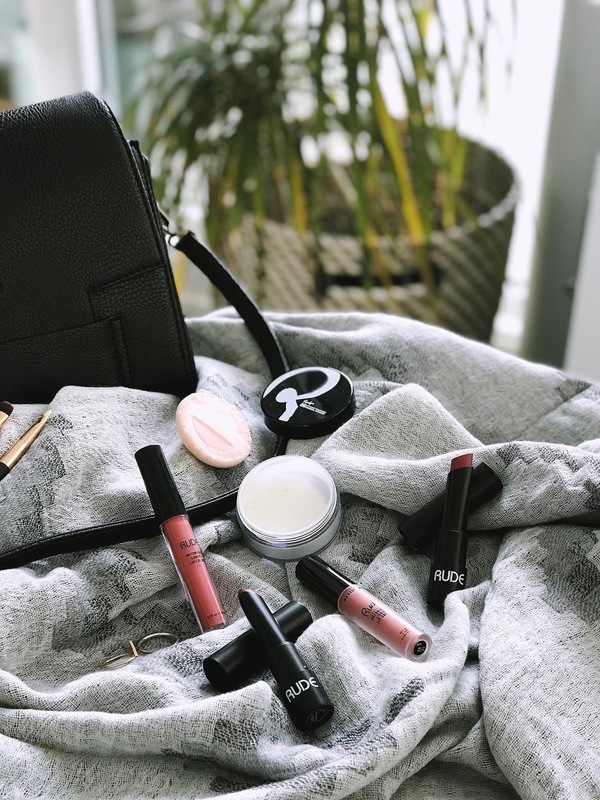 Wake up, have your coffee, and finish off your makeup with some products from Rude Cosmetics. This line is new to me, but I was definitely intrigued when I learned the brand is super affordable and has a huge range of products with accompanying shades for you to choose from. 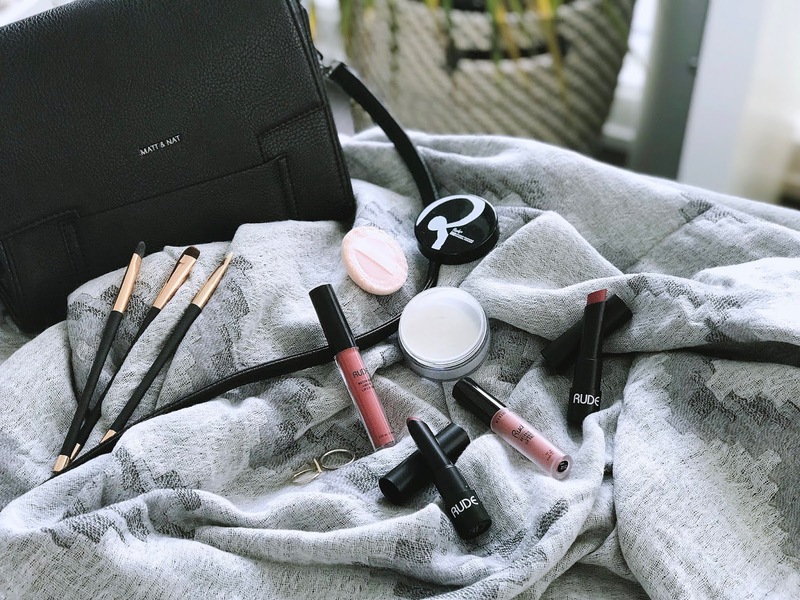 A little back story: The tagline of Rude Cosmetics is "Makeup With An Attitude" which all of their products nod to, with shade names such as "Sinister Villain" and "Obscene Gesture". While their names are cheeky, their products are cruelty-free, making that an instant win in my books. I tried out three products that I'm sharing in today's blog post: the Ultra High Definition Studio Finishing Mineral Powder, the Attitude Matte Lipstick, and the Notorious Liquid Lip Colour. It's definitely difficult to find HD powders at drugstore prices, but this powder is only $5! 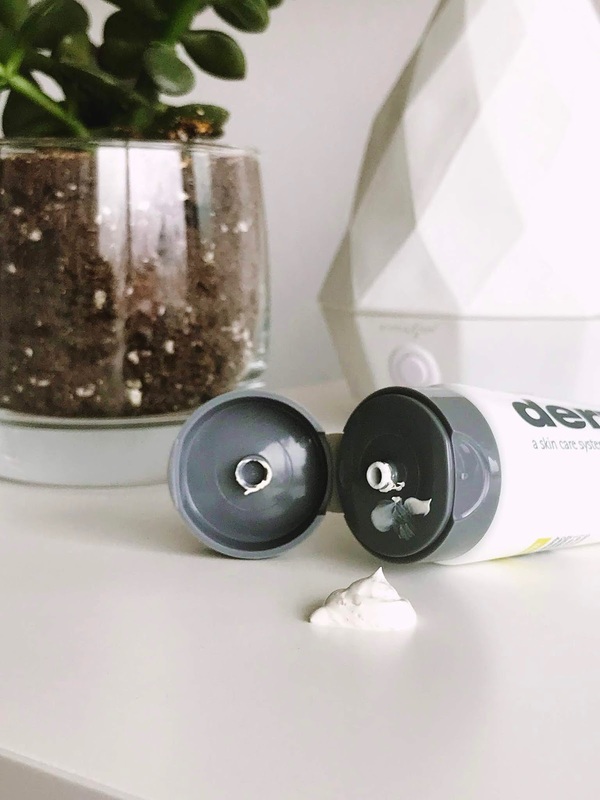 The powder itself is housed in an 8g container and comes with a puff. Since this is a mineral powder, it's very fine which is what you want when using it for HD photography or video. I haven't found much use for the puff, but I do love the finish of the powder when using it for baking. It brushes away so smoothly without disturbing my makeup underneath and doesn't leave any kind of white cast. The Attitude Matte Lipstick retails for $2.50 and comes in 24 different shades. In the two shades I tried (Disobedient and Rowdy), both are very pigmented and have a waxy-feeling application but have a super matte finish. I love how the bullet is small and teardrop shaped, making it easy for precise application. The third and final product I tried from Rude Cosmetics is their Notorious Liquid Lip Colour. Retailing for $3.50 each, these come in 20 different shades with 2.5mL of product. As with most liquid lipsticks, these have doe-foot applicators and have a very matte finish. The finish and application is more on the dry side and they have a powder-like finish. I've found that with some powder-like finish liquid lipsticks, they tend to pill after a few hours of wear but these fade naturally and evenly with no weird rim around the outside of the lips. The two colours featured in this blog post are Obscene Gesture and Sinister Villain. 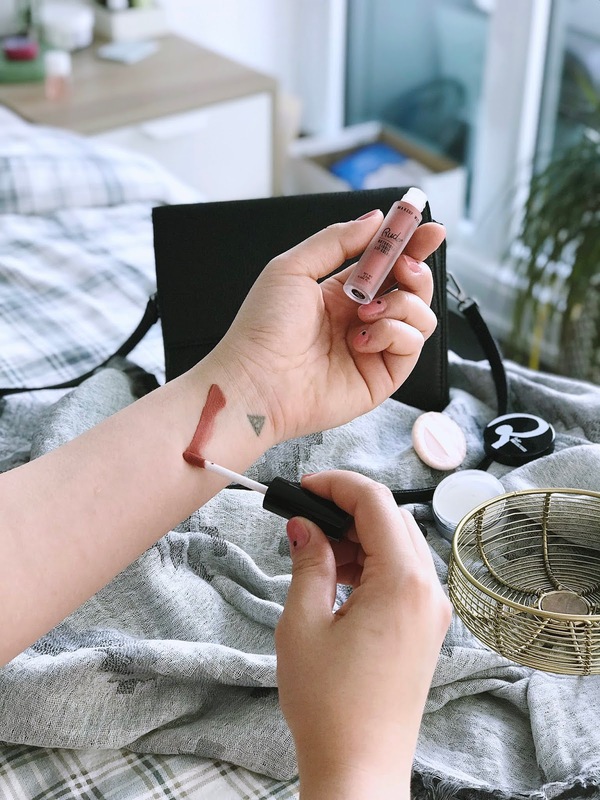 Overall, if you're looking to try a cruelty-free and affordable makeup brand, I'd definitely recommend giving Rude Cosmetics a try. I haven't tried every product from their range however, I'd recommend the powder, lipsticks, and liquid lipsticks. 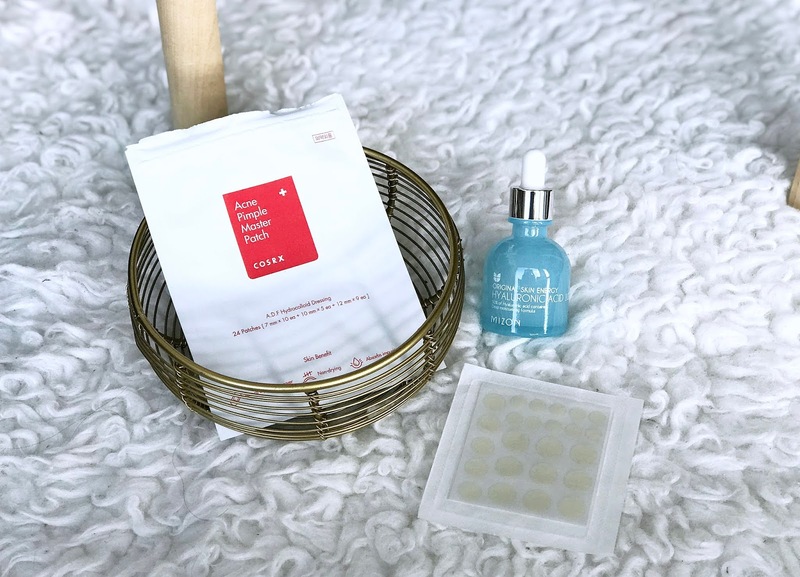 If you're interested in trying the brand, you can find them on Beauty Sphere which is an online beauty retailer that sells a variety of beauty brands. Can you believe we are practically halfway through the month of December? I don't know where the time has gone, but I am super excited for Christmas, and while I have already finished all of my holiday shopping, I know there's always those little things we're looking for, like stocking stuffers for example! 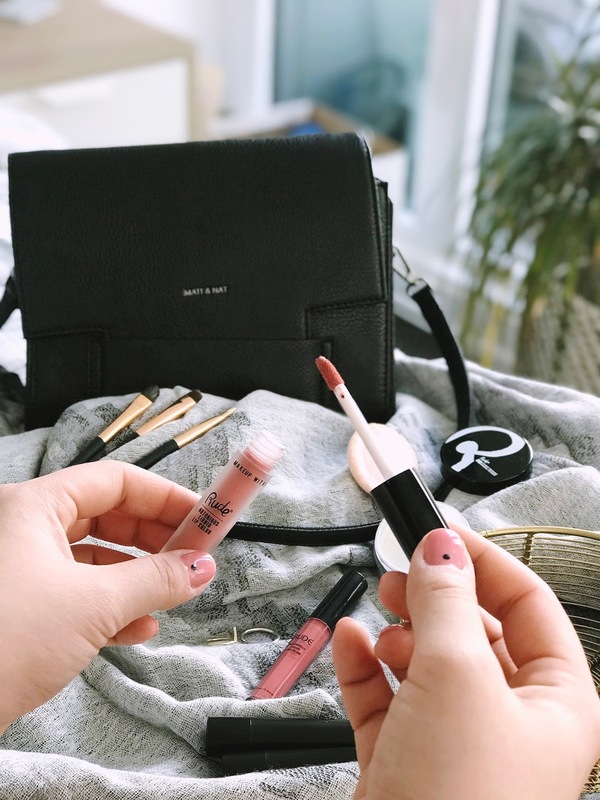 Holiday shopping can get expensive, so I wanted to share a few of my personal picks if you're looking for more budget friendly stocking stuffers for the beauty lovers in your lives. WET BRUSH | I think gifting someone a detangler brush is an excellent idea, because so many people have problems with hair breakage (myself included) and tangled hair, and these hair brushes are not only affordable, they also come in so many different colours and styles. The original Wet Brush is only $11.99 and right now, they've released three different holiday styles if you want to gift something more season appropriate. 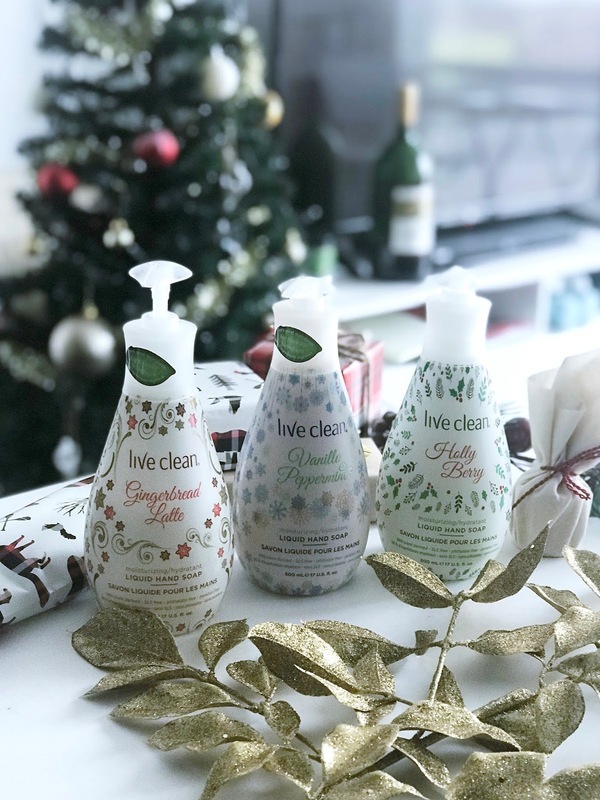 LIVE CLEAN HAND SOAPS | Not only are hand soaps good for stockings, they're also great as hostess gifts for any of those holiday parties you're planning on attending. 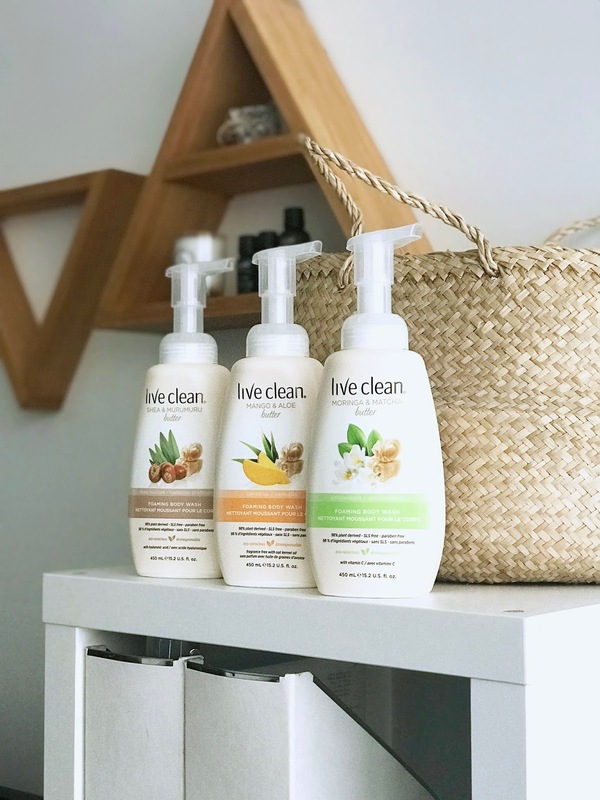 These three scents from Live Clean are specifically for the holidays, like Gingerbread Latte (my personal favourite), Vanilla Peppermint, and Holly Berry. Each hand soap retails for $4.99 and they smell so good, whoever you're gifting them to will want to use them even after the holiday season. 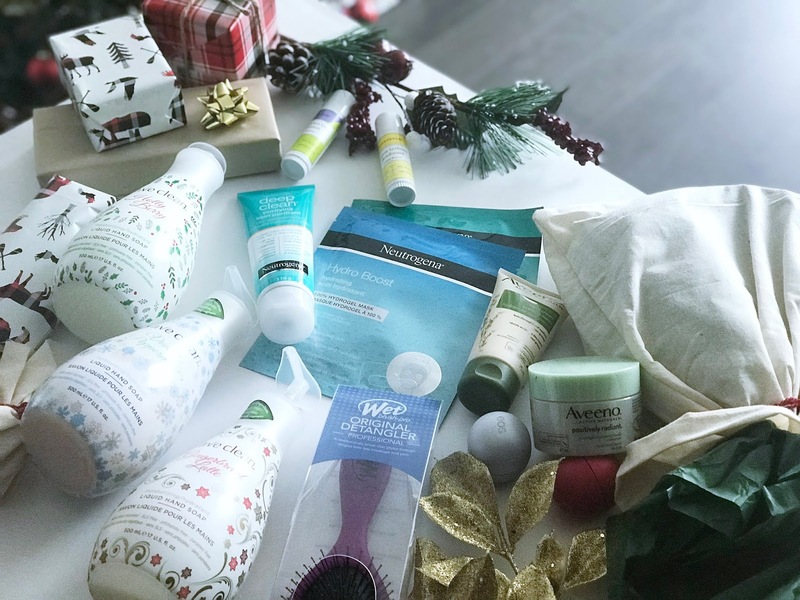 NEUTROGENA FACE MASKS | What better way to spend a cozy winter break than face masking? 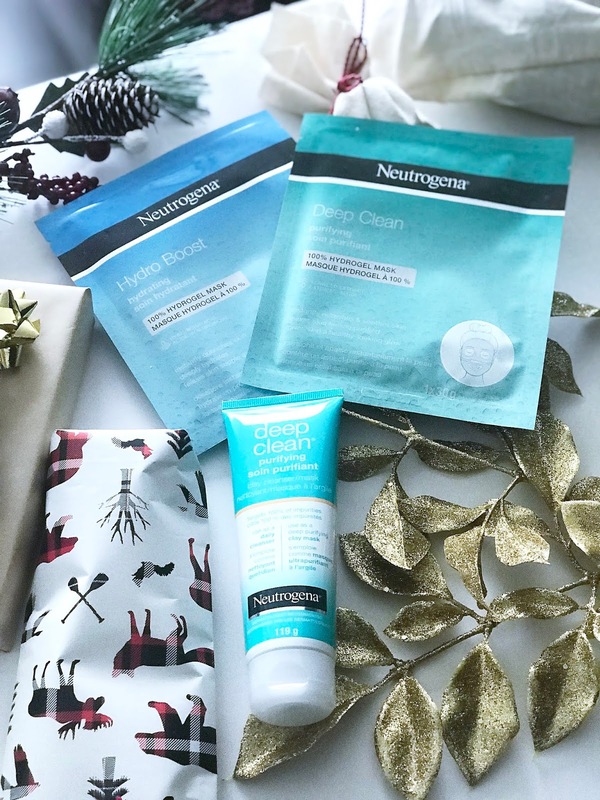 Sheet masks in general are perfect to put in someone's stocking but I'm currently loving this clay mask and these hydrogel sheet masks from Neutrogena. At just under $10, any of these masks would be put to great use, especially during the colder months. AVEENO | Speaking of colder months, hand creams are always a welcome gift in my opinion. The Aveeno Daily Moisturizing Hand Cream is small and compact, making it perfect for people to put in their purses or for travel. 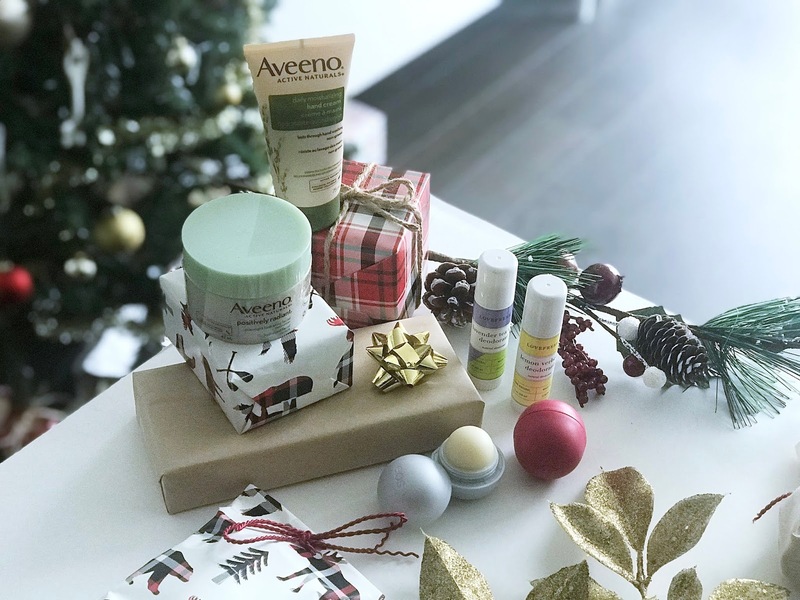 If you're looking for something slightly more luxurious but still on the affordable side, the Aveeno Overnight Hydrating Facial is also a great choice. It's super hydrating and is suitable for all skin types. 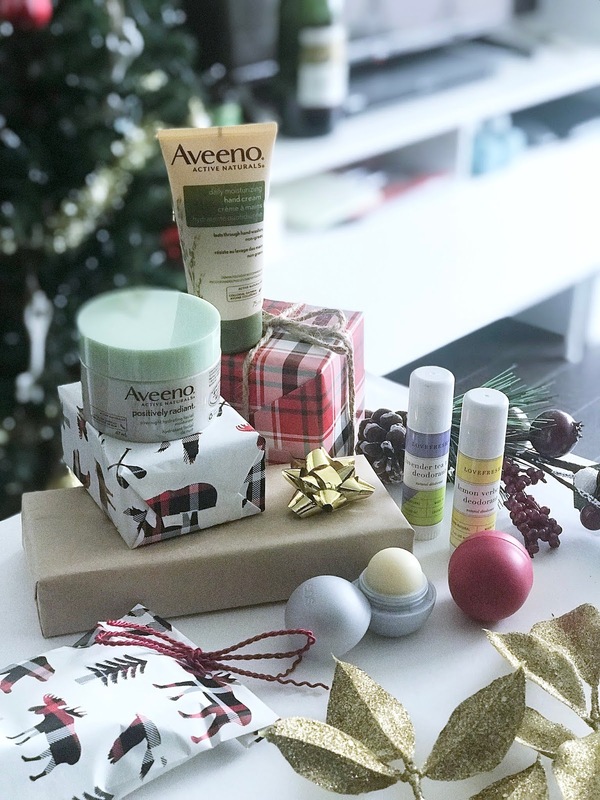 Those are my "top picks" for stocking stuffers, but if you wanted to add in a few smaller items, EOS lip balms are always great, and for those who are more eco-conscious and into green beauty, I thinking gifting Love Fresh deodorants would be perfect. They have so many scents to choose from so there's something there for everyone. A Toronto dwelling blogger with a penchant for leaving lipstick stains on coffee mugs. © NANCY MAC. Design by MangoBlogs.